Five workers, who barely earned enough to support their families, have been arrested on charges of funding the Maoists. A photograph of Marx overlooks stacks of plastic chairs, crammed bookshelves and an old desktop computer in an office on the ground floor of a building in central Mumbai. On the evening of January 12, a group of electricity workers affiliated with the Mumbai Electric Employees Union met here. They worked for Reliance Energy, which supplied electricity to homes in the city’s suburbs. 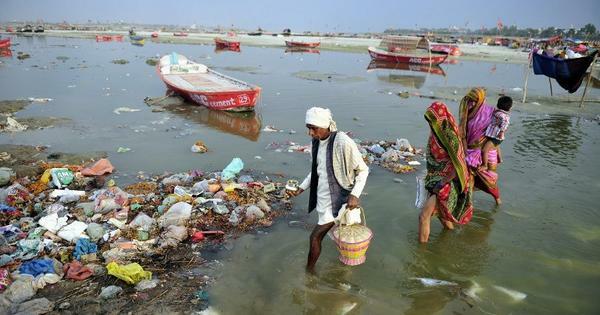 Despite working for the company for around two decades, laying cables and excavating new lines, they were not permanent employees – they were hired by contractors, who supplied labour to the company. The previous few weeks had been tumultuous. The company was in the middle of a major transition: its ownership was changing hands, with the Adani Group in the process of taking over. During this period, a worker died on December 19. He was returning home from work when he fainted and hit his head, resulting in a brain haemorrhage. All the workers in the area – permanent and contract – went on a one-day strike to force the company to pay full-duty compensation to his family. It seemed like a victory – except, on January 1, the contract workers found they had been marked absent for the day of the strike, while the permanent workers had not. When the union raised this, four workers were suspended on January 9. Three days later, the union met in their Dadar office to discuss this suspension. Hours later, close to midnight, four of its members found men in plain clothes at their doorstep. The men made the couple sit with their backs to each other and asked them to stay silent as they went about ransacking the house. At the end of the search, they said that they had to take Karrela with them. Panicking that he was about to be kidnapped, Rajitha seized her husband’s arm and refused to let go. At this point, she said, the men announced they were the police. They said Karrela would be released in the morning. When she still refused to let go, they wrote an address and phone number on a piece of paper and told her to come there the next morning. Similar stories played out at the houses of other union members that night – Babushankar Vanguri, 30, Shankar Gunde, 40, and Ravi Marampelli, 40. Large groups of police in plain clothes appeared close to midnight, searched their houses and took them away. This was no ordinary police detail – it was the Anti-Terrorism Squad of the Maharashtra Police. As the families of the union members found out later, the arrests had been made under the Unlawful Activities Prevention Act, which punishes those proved guilty of working with banned organisations. In this case, the ATS claims the workers had been funding the banned Communist Party of India (Maoist), which has been fighting a protracted guerilla war in central and eastern India for decades with the aim of overthrowing the government. How exactly had low-paid workers in Mumbai, who barely earned enough to support their families in India’s most expensive city, saved money to send to an underground organisation? The police claims they did so by raising money from contractors. At the heart of the police claims, as outlined in its 5,000-page chargesheet submitted in May, are two bank cheques of Rs 1.5 lakh each. Issued in May 2017, the cheques was signed by three office bearers of a contractors association that supplied labour to Reliance Energy. The police claim the workers encashed the cheques and passed on the money to a Maoist operative, who further transferred the money to underground Maoists in Telangana. But other union members have a simpler explanation for the cheques: they say they were written in support of the union’s annual May Day function. “The workers organised May Day functions every year and get donations from the contractors association for this,” said N Vasudevan of the New Trade Union Initiative that backs the contract workers’ union. On the same day that they arrested the four union members, the police also arrested Narsaiah Jumpala, one of the three signatories of the cheques and a member of the contractors association. Anjaiah Anthati, president of the association, said there was no coercion at the contractor association meeting at which they decided to sign the cheques. The association, he claimed, makes donations to all workers unions every few years and that too in “white” money, by cheque, not cash. But the police has cited witness statements from at least unnamed 12 contractors in support of its claims. These feature as part of the chargesheet, among the 100-odd statements which have been cited after redacting witness names. On January 12, along with four workers and the contractor, the police also arrested a man named Ajay Dasari, who they allege is the Maoist operative who workers introduced as “Mahesh”. The seventh arrest, also made the same day, was of Ramesh Gondiala, 37, a pro-Telangana poet and activist who worked as a milk delivery man near Kalyan, on the outskirts of Mumbai. In February, another worker, Saidulu Singapanga, 36, was taken into custody, taking the total number of arrests in the case to eight. This isn’t the only Maoist case brought by the Maharashtra police against urban residents. Over June and August, Pune police arrested ten lawyers and activists, accusing them of working with the banned CPI (Maoist) and labelling them “Urban Naxals”. These arrests too were made under the Unlawful Activities Prevention Act. Often described as draconian with vague definitions, it allows the police to hold the accused in prison for long periods by prohibiting the courts to grant bail as long as the accusation made by the police appears “prima facie true”. Of the few in western Maharashtra, one is the union workers’ case. Another is the 2011 case against alleged Maoist Angela Sontakke and the Kabir Kala Manch, a cultural organisation based in Pune, members of which have since been released on bail. In 2015, the Anti-Terrorism Squad arrested Konnath Muralidharan, a Maoist leader from Kerala while he was being treated at a hospital near Pune. Given the prominence of the ten activists arrested between June and August, and a legal challenge to their arrests in the Supreme Court, discussions on the misuse of this 1960 law were briefly revived, before receding again. According to Indiaspend, as many as 2,700 cases were filed under UAPA in three years between 2014 and 2016. Of the 33 trials under the law completed in 2016, it reported, 67% ended in acquittals. Evidence in several of these cases tends to be vague. A common thread that connects all of the men arrested on January 12 is the place where they came from: Telangana. Or more specifically, the two districts of Nalgonda and Karimnagar. Also common is their caste background: the workers are all Dalits. The Mumbai Electric Employees Union was established in 2005, after a worker died while on duty. As contract workers, they were entitled to a compensation of only Rs 25,000 but as union members claim, they successfully forced the company to increase it Rs 6.5 lakh. Since then, the union grew in strength, attracting a large membership of around 1,000 of the company’s 4,000 contract workers, many of whom are Telugu-speaking migrants. 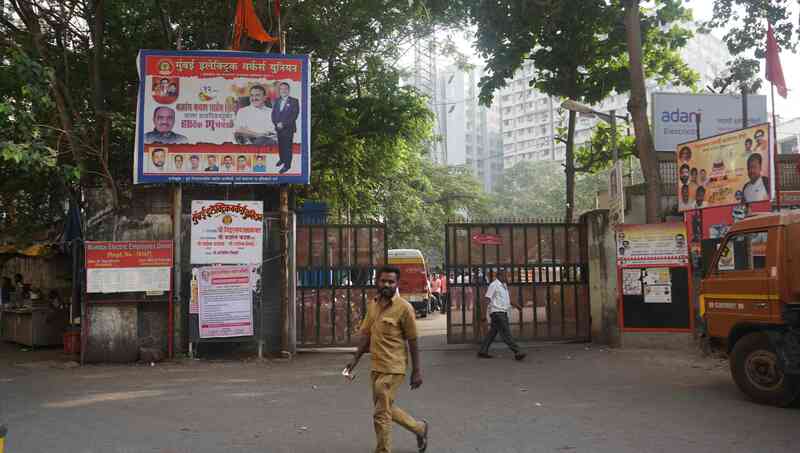 The Shiv Sena-affiliated Mumbai Electric Workers’ Union, which is the only union which is recognised by the company and the Labour Commissioner, claims to represent all contract workers, apart from the 3,500-odd permanent workers, many of whom are Marathi-speaking. 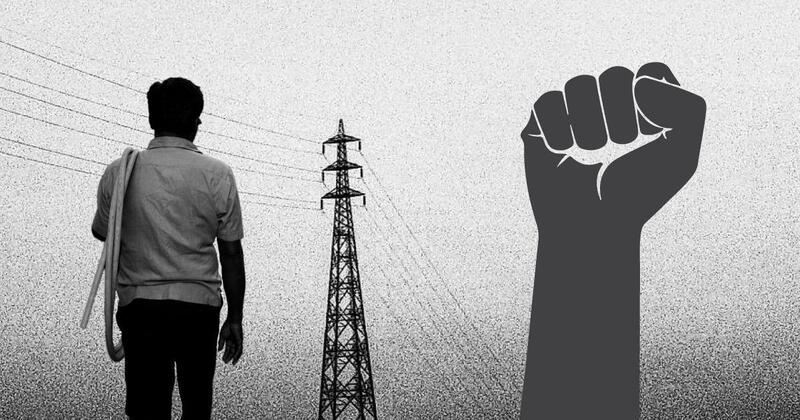 All the arrested workers were office-bearers of the Mumbai Electric Employees Union and played a crucial role in every negotiation with the company and contractors. They all lived in and around Ghatkopar in central Mumbai with their wives and young children and had each been with the electricity company for around at least 15-20 years. Work conditions were severe at first, say members of the union who worked with their arrested counterparts. Each day, they would go to the company’s electricity office and contractors would tell them how many of them would get work for that day. Often, workers would return home empty-handed. With the formation of their union, however, working conditions changed. One of their first struggles was to ensure that all contract workers would get work daily. The arrested workers were active in ensuring this. In their spare time, they organised reading groups and kept their fellow workers updated with political pamphlets and books related to Marxist, Ambedkarite and pro-Telangana ideology, said Vasudevan. Despite their long stint in the metropolis, the union members had strong connections to their homelands and were active in supporting the movement for a new Telangana state. When Telangana was carved out of Andhra Pradesh in 2014, the new Telangana Rashtra Samiti government promised three acres of land each to landless Dalit farmers. The workers, said Vasudevan, made several trips back home in the hope of getting land. A Telangana-based researcher specialising in human rights and law, who asked not to be identified, confirmed that many migrants did indeed come back in droves in the first year of the new government, thinking they had to be physically present to avail of the scheme. However, the scheme has not materialised. The workers had grown disenchanted with the new government, said Vasudevan. According to their co-workers, all the arrested shared an interest in Ambedkarite and Marxist ideas. At all their homes, the police found books, magazines and pamphlets related to this ideology. At Singapanga’s home, the police found copies of Veekshanam, a magazine edited by N Venugopal, a Telugu poet, literary critic and journalist. The police chargesheet contains a screenshot of an email sent by one of the arrested workers, Vanguri, to another arrested worker, Singapanga, inviting him to an event at Ramabai Nagar to protest the arrest of Manda Krishna Madiga, a Telugu Dalit rights activist living in Telangana. Krishna, who was subsequently released, has spoken against the Maoist party for betraying the cause of workers. But an official of the Anti-Terrorism Squad, who did not want to be identified, claimed the workers’ union itself was as an overground organisation of the Maoists. Such organisations are part of the Golden Corridor Committee plan, he said, through which Maoists seek to infiltrate industrial areas in western India. By all accounts, the workers, however, showed greater interest in Ambedkarite ideas. On December 31, they travelled to Pune in a group of 40 to take part in the anti-caste commemoration at Bhima Koregaon near Pune, where Dalit soldiers with the East India Company had trounced the casteist Peshwa-led army of the Maratha empire in 1818. “I had gone there for the first time because it was the 200th anniversary of the battle,” said Saidulu Gondrigalla, one of the suspended workers who was part of the group. “We saw the [memorial] pillar in the morning, while the garlands were still being put up, then returned to Pune for the Elgaar Parishad,” a conference being held to mark the anniversay. While they returned to Mumbai on January 1, back in Bhima Koregaon, Dalits came under attack that day, sparking a strike and caste clashes, which spread across western Maharashtra. By the second week of January, police had conducted sweeping arrests of Dalits they believed to have participated in the violence. When news of the workers’ arrests first came, their colleagues thought this might be related to this action. However, given that the arrested workers were all union members, they also wondered whether this had anything to do with their last protest against the management in December. The chargesheet is silent on both. 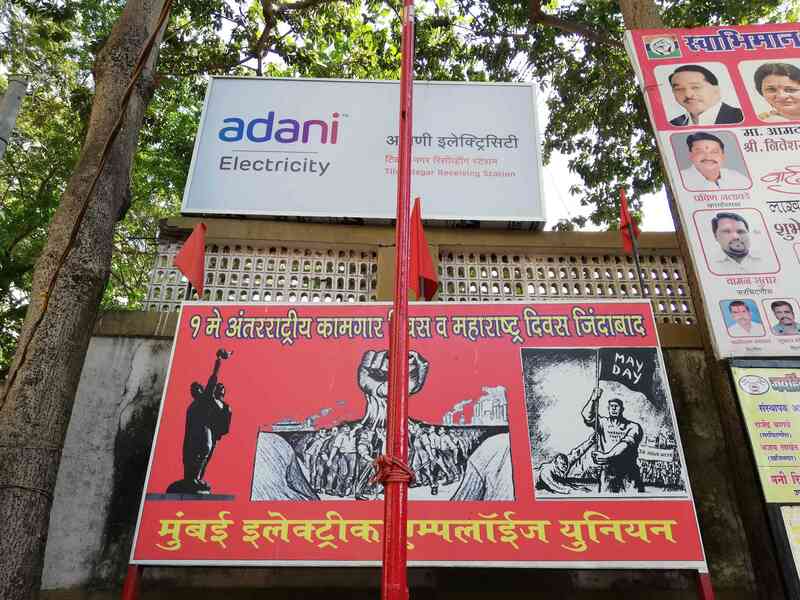 Spokespersons of both Reliance Infrastructure and Adani Electricity Mumbai Limited declined to comment on the case or the suspension of the employees. A representative of Reliance Infrastructure, the holding company for Reliance Energy, also declined to comment. “As discussed, as this business is now with Adani Electricity, you may write to Adani Electricity,” a Reliance Infrastructure spokesperson wrote in reply to Scroll.in’s questions. Other than the workers, those arrested in the case include Jumpala, the contractor, Dasari, the alleged Maoist operative, and Gondiala, a poet and activist whose connection to the workers is tenuous. As general secretary of the contractors association, Narsaiah Jumpala was one of the authorised signatories for cheques issued by the organisation. He had a reputation within the association for being sympathetic to the cause of workers, according to both his wife, other workers in the union, and even the head of the contractors’ association. There is not much information available about Ajay Dasari, the man the police claims the money was diverted to. The police chargesheet says he lived in Kalyan and even lists an address. But the address, a squat building adjacent to a larger bungalow, is occupied by families of Bihari and Jharkhand migrant workers, living there on rent. The wife of one of the workers confirmed the Anti-Terrorism Squad had visited this address on a Saturday in January, asking for Dasari. The woman, who did not want to be identified, said Dasari was her husband’s friend. They had met about five years ago while working at a cola factory in Kalyan and Dasari used to visit their home once or twice a month. Dasari told them that he lived with relatives in Thane, but that his wife and children were in his village in Telangana. They did not know much else about him. The Telangana-based researcher found the police claims about a Maoist operative meeting openly with workers suspect. An Anti-Terrorism Squad official familiar with the case who asked not to be identified agreed that “Maoists keep their open activities away from secret ones to prevent detection.” However, he claimed that if Dasari was “allowed access to both sides”, it indicated that he was in fact a “high level functionary”. It is not clear how Ramesh Gondiala, a poet and milkman, came to be linked to this case. A pro-Telangana activist from Nalgonda district, his connection with the workers is tenuous – according to Gondrigalla and Vasudevan, he met them in November 2013 at a meeting to support the formation of the state. Venugopal, who wrote the preface to a book of poetry that Gondiala published, said his poetry covered issues of gender, Dalit rights, labour and the Telangana state. Gondiala worked to deliver milk to houses in his neighbourhood and also worked as a driver. His wife told Scroll.in that he also regularly helped construction workers to arrange compensation or treatment for them if they suffered injuries or died while on duty. The ATS also questioned another writer and translator, Prabhakar Macha, in the case. A teacher who was quite popular in Telugu writing circles, Venugopal said Macha was a significant link between Marathi and Telugu literature. He had written a 200-page book on the contribution of Telugu migrants to the building of Mumbai city. In the first week of January, Macha’s wife died. On January 23, a week after he was questioned by the ATS, he killed himself. In the First Information Report filed hours after the arrests, the ATS claims its operative received a confidential tip-off from an informer, who told them that members of the Maoist party were raising money, recruiting new members and spreading Maoist propaganda to destabilise the nation. The informer said the members were going to congregate at Kalyan station at around 4.30 pm. The FIR charges seven men – excluding Singapanga at this stage – under sections 20, 38 and 39 of the the Unlawful Activities Prevention Act, which pertain to membership of and recruitment to banned organisations, but not to fundraising for them. The charges of fundraising appear only in the chargesheet. In the chargesheet, the police claims to have CCTV footage from an apartment building in Tilak Nagar, which purportedly shows Dasari meeting the arrested workers between 12 pm to 3 pm. The ATS claims in the FIR that it arrested Dasari at Kalyan station at 5.30 pm. Through his interrogation, within a matter of hours, it was able to get the residential addresses of seven accomplices. At midnight, in simultaneous raids, six men were arrested. Saidulu Singapanga is not among the seven individuals named in this FIR. Like several other union members at the time, Singapanga too did not appear for work for some weeks after the other union members were arrested, fearing that it was the union itself being targeted. When he reported for work on February 5, he was arrested immediately. But questions have been raised over the police claims. Jumpala’s wife pointed out only her husband was arrested, even though cheques from the contractors association require three signatures. The union’s founding minutes, a copy of which is in the chargesheet, designates three individuals – the president, general secretary and treasurer – as elected officers for bank transactions. Anthati, president of the contractors’ association, said that all three signatories had indeed signed two cheques, each amounting to Rs 1.5 lakh, but did not hand them over to the union representatives at the meeting because they did not have a receipt book with them. “I told them we would give them the cheques only after they gave us the receipt,” Anthati said. However, he added, a few days later, Jumpala took the cheques from the office assistant, saying that he was going to Chembur, would give them to the union people and bring back a receipt. This never happened. Instead, the cheques were made out to two individual members of the union and the receipt never made it to the association office, he claimed. Scroll.in could not independently confirm this. It is not clear from the chargesheet how the money from the cheques was passed on to the Maoists, nor is it clear whether or how the accused recruited new members for the Maoist cause. Most of all, what is mysterious are the 12 near-identical statements purportedly made by contractors to the police. 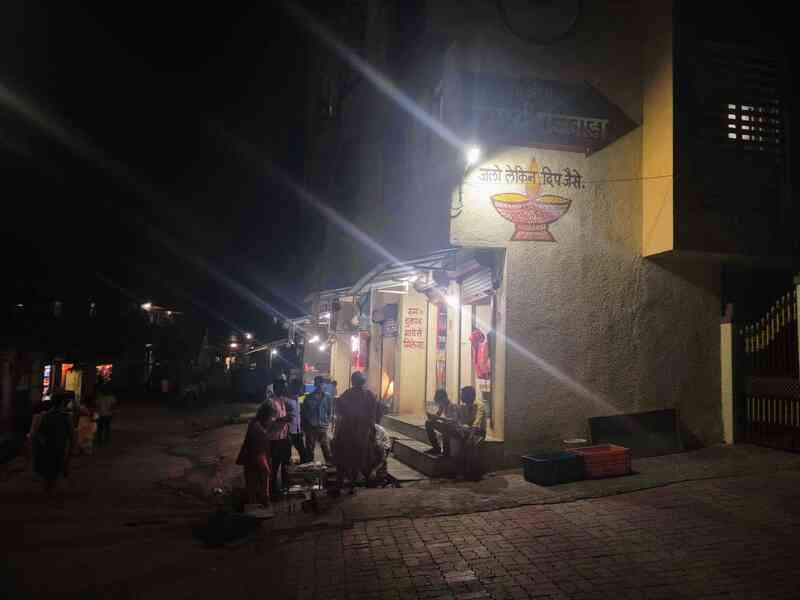 Anthati said that as he operated in Kandivali zone in another part of the city, he did not know what the others had said to the police and whether they knew that their statements in Hindi had been identically translated into Marathi. Contractors in the east zone deflected numerous attempts by Scroll.in over almost two months to speak with them. He pointed out that his team was simultaneously working on a case involving Hindutva extremists who had been arrested with large caches of weapons and bombs. Ten months after the arrests, the families of the union members are struggling. Reduced to single-income households, one family left for their village in Telangana, unable to pay the rent for their room. The others are being supported by women who have taken up domestic work to make ends meet. There is uncertainty over whether they would be able to pay their children’s school fees. There are other consequences too. The families of the workers were reluctant to meet Scroll.in in their homes to avoid drawing more attention to themselves. They said the ATS officials still visit them regularly, making their neighbours wary of them. One of their landlords even asked them to leave, to avoid the police attention. Since the arrests, the scrappy union, which took on the company to fight for provident funds, safety equipment, identity cards and even a kind of job security with assured daily work to all its members, has become somewhat dormant. “Because of this atmosphere, the workers are scared that if they remain with our union, they too will be arrested,” Vasudevan said. There are other losses which the workers rue, including the hard-earned one of dignity.